Mexico’s state-owned Federal Electricity Commission (Comisión Federal de Electricidad, CFE) has remained the dominant electric utility in Mexico for almost eighty years, even though most Latin American countries ended state monopolies in the 1990s. 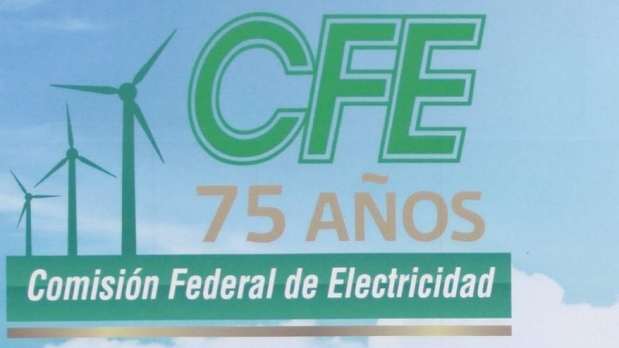 Now, Mexico’s on-going energy reforms are revamping the CFE behemoth by splitting it into four distinct entities focusing, respectively, on electricity generation, transmission, distribution and commercialization. Generation: CFE’s total installed capacity is 55,118 MW, coming from 628 generating units in 185 power stations. Transmission: Mexico has 115,400 km of high voltage transmission line. Distribution: CFE currently has 820,602 km of mid- and low-voltage lines, 1910 substations and 1.38 million distribution transformers. Distribution to domestic users is organized via 16 regional units: Baja California, Bajío, Centro Occidente, Centro Oriente, Centro Sur, Centro Norte, Golfo Norte, Jalisco, Noroeste, Norte, Oriente, Peninsular, Sureste, Valle de México Sur, Valle de México Centro and Valle de México Norte. Commercialization: Includes the sales and billing to more than 38 million end-users, as well as the operations of two CFE subsidiaries (CFE Internacional and CFE Energía) involved in international trading. In related news, Mexico’s energy regulatory body, the Centro Nacional de Control de Energía (CENACE) is introducing a market framework. Long-term energy and capacity Power Purchasing Agreements (PPAs) can now extend 15 years, with guaranteed commercialization of all power produced by each generation unit. This should provide a welcome boost to many renewable energy projects. Mexico is committed to generating 35% of its energy from renewable sources by 2024. Hydro-electric and geothermal power plants have been important for a long time, and significant solar and wind-energy plants have been added in recent decades. A market system involving tradable Clean Energy Certificates (Certificados de Energías Limpias, CELs) is an integral part of the reforms.